Both sexes fully winged. Body brown, eyes bright red with chalky-white linear marking laterally on head and pronotum; tarsi and apices of mid and hind tibiae yellow; antennae brown, segment III largely brownish yellow; fore wing weakly shaded, with longitudinal brown line. 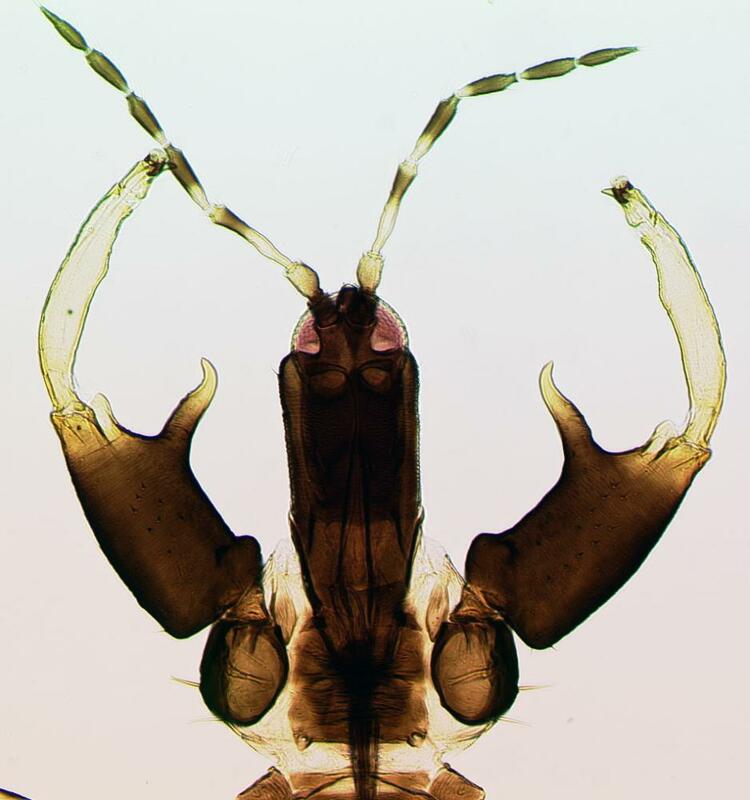 Head longer than wide; eyes large, holoptic; maxillary stylets retracted to eyes, close together medially, with stout maxillary guides; postocular setae minute; mouth cone extends across mesosternum. 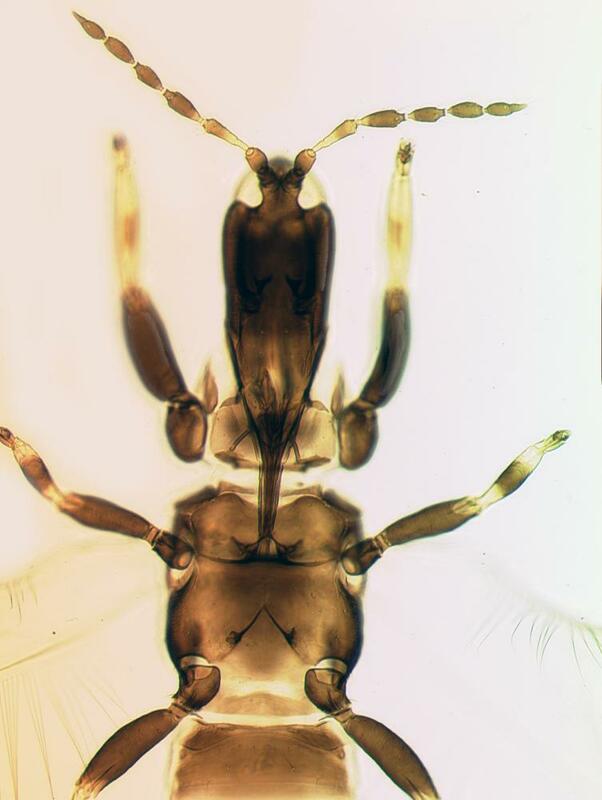 Antennae 8-segmented; sensoria stout, two on segment III, four on IV; segment VIII closely joined to VII. 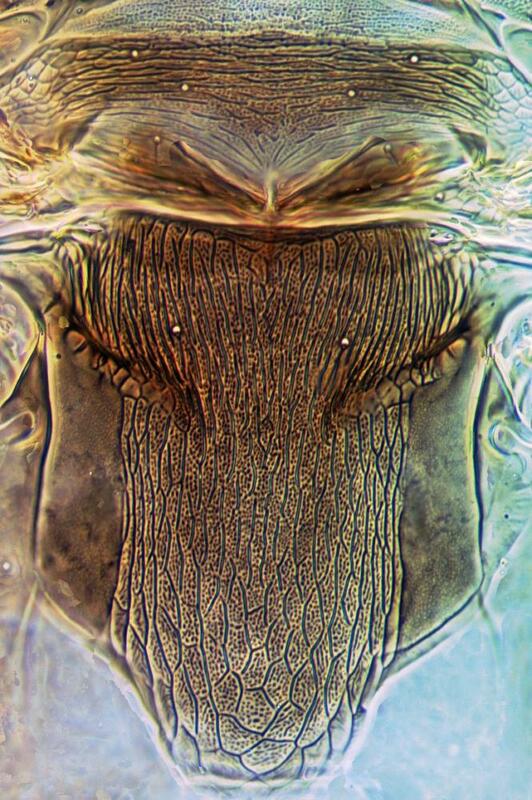 Pronotum with five pairs of capitate setae; epimeral sutures not complete. Fore tarsus without tooth. Metanotum with many dot-like markings between linear striations. 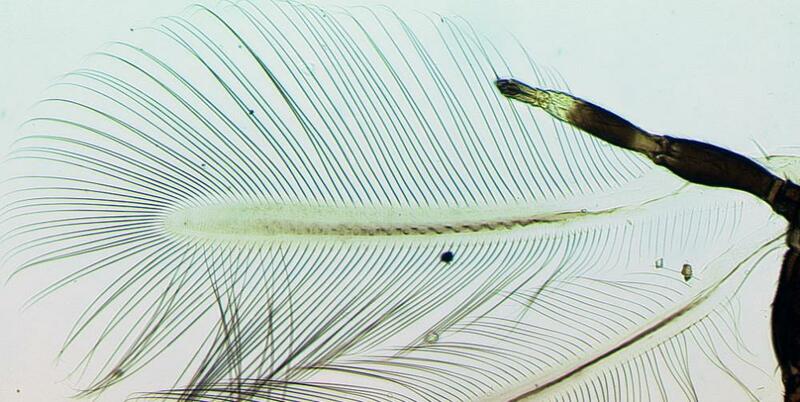 Fore wing parallel sided, with about 10 duplicated cilia. Pelta slightly recessed into anterior margin of tergite II; tergites II–VII with 2 pairs of weakly sigmoid wing-retaining setae; tergite IX setae S1 length about half that of tube. 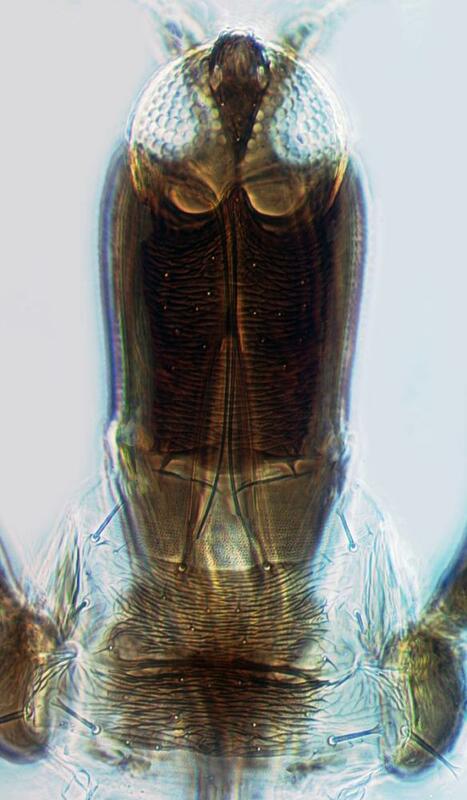 Male varying in size, large males with prominent tubercle on inner margin of fore femora. 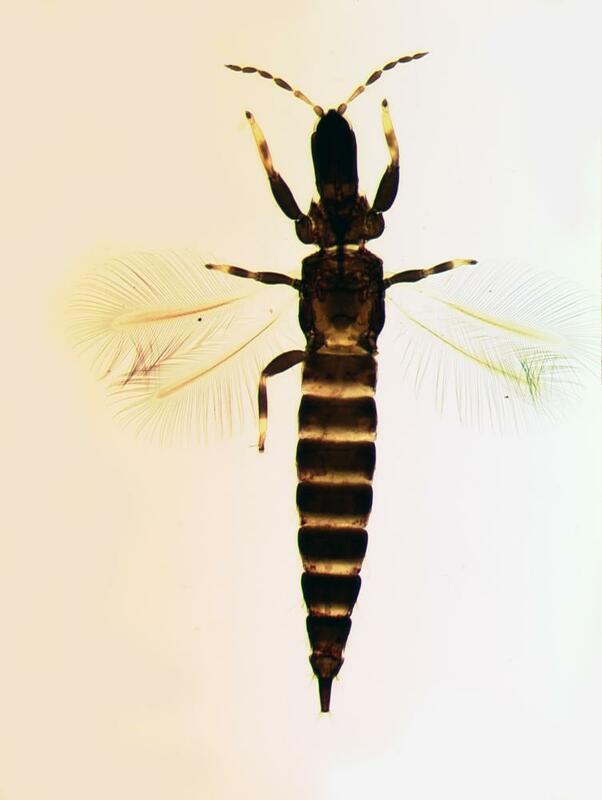 The genus Macrophthalmothrips currently includes 16 described species, of which eight are neotropical with two species extending into eastern USA, and eight species are from other parts of the tropics (Mound, 1972). M. argus is widespread, but is closely related to species described from Asia and the Western Pacific. Unidentified fungal hyphae on dead branches of various trees. Australia, New Zealand, Hawaii, Tanzania; USA, California, Georgia.